Mose Dantzler Press | Shopheirs.com - Heirsskymallcom Inc.
Mose Dantzler Press published Married to Sin, a memoir by Darlene D. Collier with Meredith C. McGee. Retailers may purchases Married to Sin for 50% off the list price. 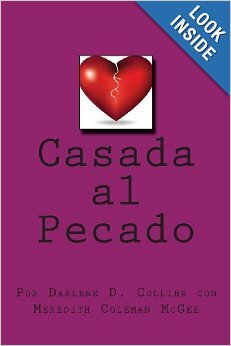 Visit the company’s blog at http://www.mosedpress.com or http://meredithetc.com/casada-al-pecado/. The company’s blog offers tips and resources to novice writers. Join the conversation at http://www.mosedpress.com. Mose Dantzler press is publishing “Married to Sin” in Spanish soon.